This feather-light and fluffy biscuit has become our favorite overnight. I came across the recipe on Reddit and would like to credit the author but I couldn’t find it again. We fell in love with it the first time I made it. The texture was very moist and a tad dense due to almond flour. I made a few tweaks, substituting par to f almond flour with coconut flour and add dried herbs. The mixture is wet like drop biscuit. Here I used a silicon muffin tray for convenience’s sake. You can spoon it onto the baking tray for a rustic look. I couldn’t be any happier with the result. It tastes better than traditional biscuits, if I do say so myself. See it for yourself and give this one a try and you won’t regret it. 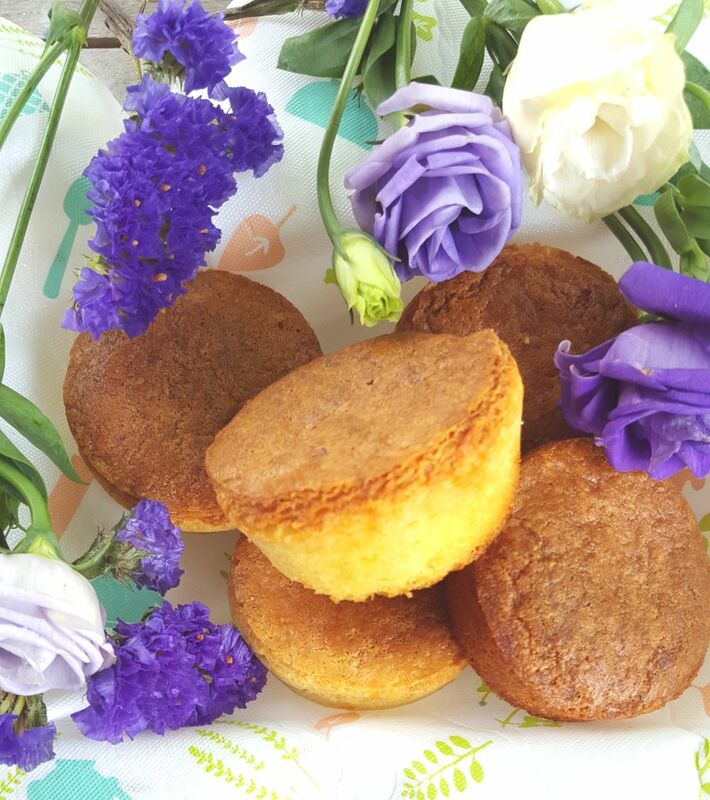 In a mixing bowl, combine almond flour, coconut flour, baking soda, salt and all the herbs and mix well. 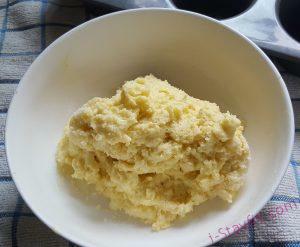 In another bowl, beat sour cream, melted butter until smooth then add the egg and beat till smooth. With a small volume of ingredients, a fork will do just fine. 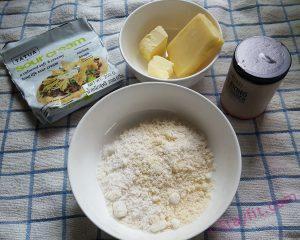 Combine the wet ingredients with the dry ingredients together and grated cheese and mix well. 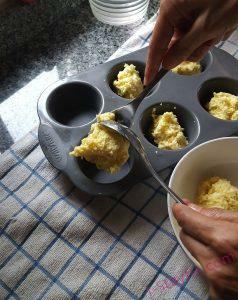 Fill up the mixture into 6 holes muffin tin or just spoon it onto a baking sheet. Sprinkle parmesan cheese on top if using. Bake at 180° C for 25-30 mins or until the top is golden. 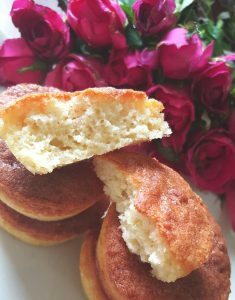 This is savory biscuit but can be adapted to be sweet by leaving out herbs and cheese and add sweetener of your choice. We will be posting recipe for it soon.